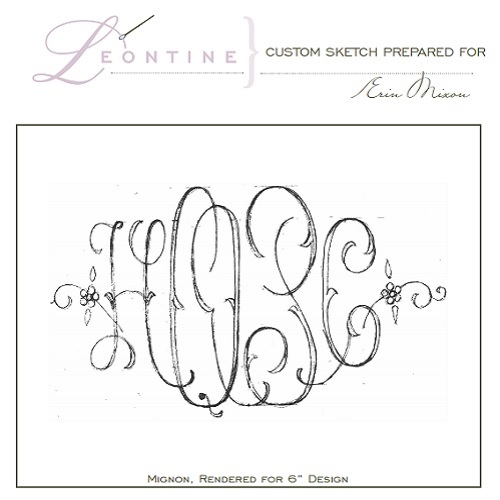 Oh, the beautiful fine-linens from Leontine Linens! 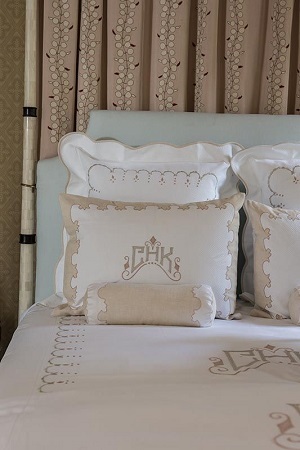 The couture, fine-linens company is always inspiring luxurious linens for bedrooms, bathrooms, and dining rooms. 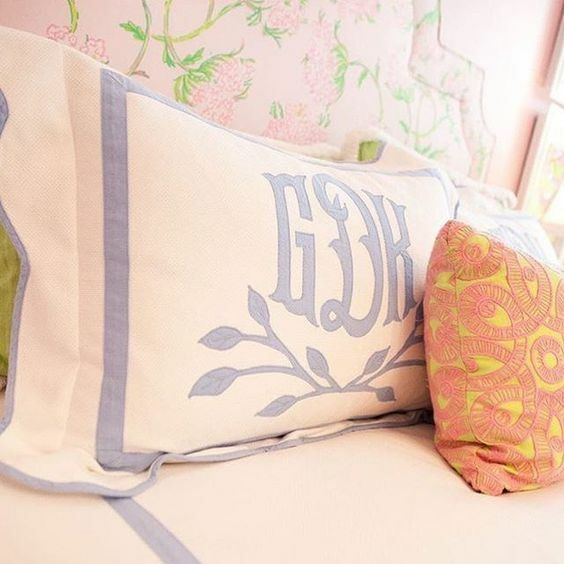 Each monogram is hand-crafted to be unique, modern, and timeless. I’ve had the pleasure of working with the lovely ladies of Jane Scott Hodges’s flagship store in New Orleans. 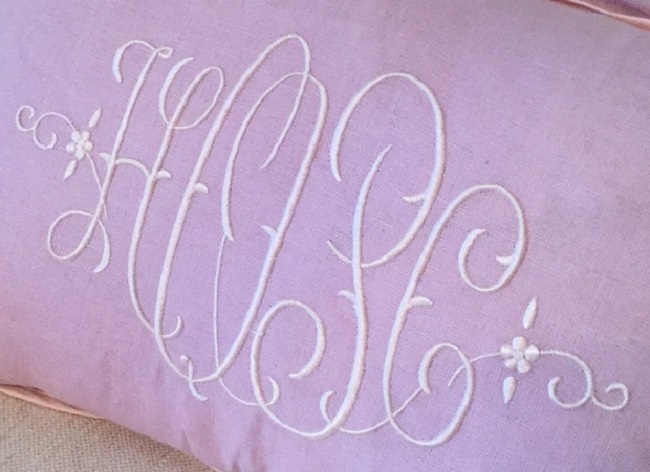 The monogram for this boudoir pillow was hand sketched before embroidering began. The soft pink linen fabric and trim were picked to compliment a baby girl’s nursery. With tons of fabric options, the design coordinator and myself worked together to meticulously match thread color and textiles. The finished result is a hand designed heirloom! 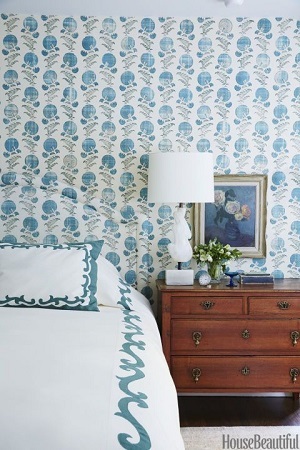 The bird’s eye ground fabric on the shams and coverlet give a clean, refined look. 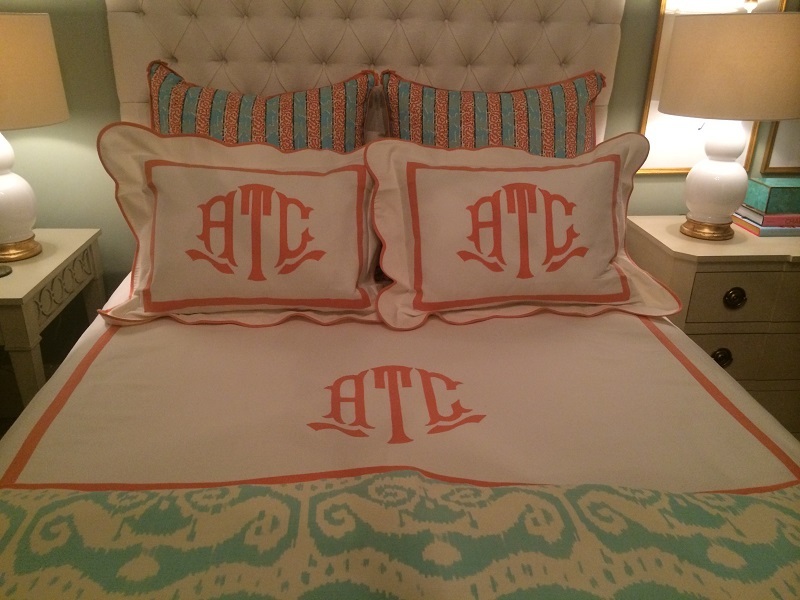 Playfully, we added the scalloped edge and pink trim with appliqué monogram. 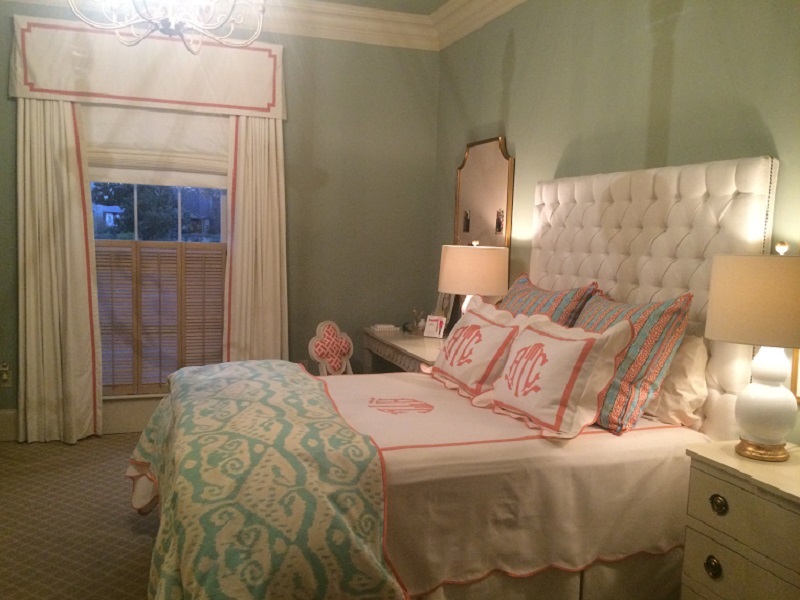 The bedding helped us transition from a sweet, little girl’s room to a fun, teenager’s bedroom.